The deal, which is still subject to a review by union leaders and a ratification vote by rank-and-file union members, would resolve a nearly decadelong labor impasse between the Teamsters and one of the few remaining unionized freight carriers in the United States. YRC and the Teamsters have been operating under an agreement that was originally negotiated in 2010 but not ratified until January 2014. The contract included cuts in wages and benefits as part of an effort to help the company recover from the economic downturn in 2009. The existing labor contract was set to expire March 31, but was extended to May 31 to allow time to work out specific contract language and resolve supplemental issues, according to the Teamsters union. The extension will also allow time for a vote on the final contract. A spokesperson for YRC declined to comment on the Teamsters statement or provide any further details about the tentative agreement. YRC Worldwide reported net income of $24.5 million in 2018 compared with a net loss of $10.8 million in 2017. Total revenue rose 4.1% to $5.09 billion from $4.89 billion. Investment analysts have projected improved earnings for the company in 2019 and 2020, and the prospect of labor peace was well-received on Wall Street, especially in the wake of the unexpected closing in February of New England Motor Freight, a major regional LTL carrier in the Northeast. In addition to the talks on a new contract, officials from YRC and the Teamsters have agreed to experiment with changes designed to stabilize the workforce and improve the efficiency of freight operations. In November, the two sides launched two pilot programs. One created driver positions for employees without commercial driver licenses to make local deliveries. The other extended the time that pickup and delivery drivers could work from 60 hours over a seven-day period to 70 hours in eight days with a 34-hour restart. Corban Matney, a road driver for YRC Freight in Effingham, Ill., told Transport Topics that he wants “a fair deal” that restores wages that were given back to help the company. He also wants the union to negotiate future raises and a “sizable contribution” to the Teamsters pension plans. 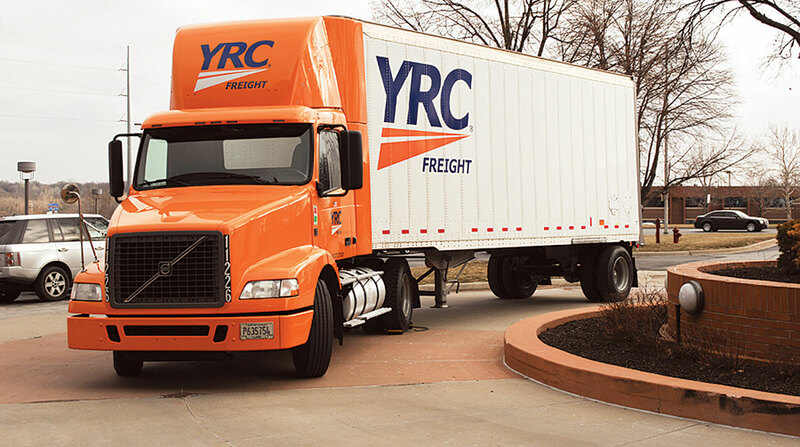 The tentative deal with Overland Park, Kan.-based YRC comes a year after Teamsters officials reached an agreement with ABF Freight, a subsidiary of ArcBest in Fort Smith, Ark., and five months after Teamsters-represented employees at UPS Freight approved a new contract. YRC Worldwide ranks No. 6 on the Transport Topics Top 100 list of largest for-hire carriers in North America and YRC Freight ranks No. 2 on TT’s list of the top for-hire carriers in the less-than-truckload freight sector.